The Poets' Co-op Fall 2009 Open Reading Series will be held on Thursday, September 3rd, October 1st & November 5th at the Loveland Museum on the corner of Fifth & Lincoln. Readings will be downstairs at the Foote Gallery/Auditorium from 7:00 - 9:00 p.m. Complimentary snacks will be graciously provided by HENRY'S PUB (234 E. 4th St.). Our Featured Reader for Thursday, September 3rd is John Amen. John Amen is the author of two collections of poetry: Christening the Dancer (Uccelli Press 2003) and More of Me Disappears (Cross-Cultural Communications 2005), and has released two folk/folk rock CDs, All I'll Never Need and Ridiculous Empire (Cool Midget 2004, 2008). His poetry has appeared in various journals and anthologies, including, most recently, Rattle, The New York Quarterly, The International Poetry Review, Gargoyle, and Blood to Remember . He is also an artist, working primarily with acrylics on canvas. Amen travels widely giving readings, doing musical performances, and conducting workshops. 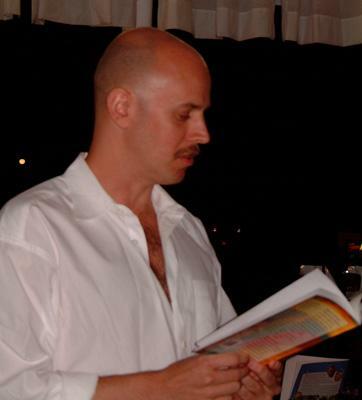 He founded and continues to edit the award-winning literary bimonthly, The Pedestal Magazine ( www.thepedestalmagazine.com ). 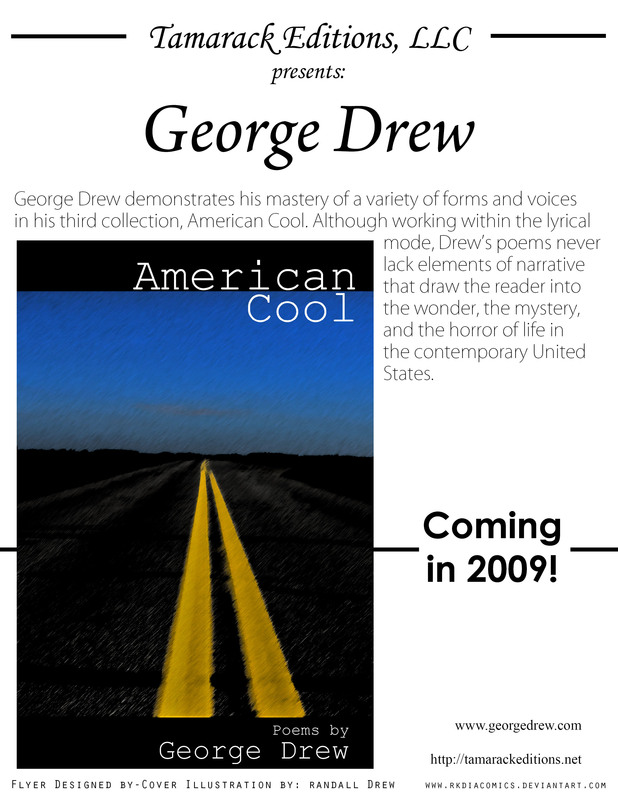 Our Featured Reader for Thursday, October 1st is George Drew. George Drew was born in Mississippi and grew up there and in New York State , where he currently lives. Toads in a Poisoned Tank , his first book, was published in 1986. The chapbook, So Many Bones (Poems of Russia ) , was published in a bilingual edition by a Russian press in 1997. His third collection, American Cool (2009), is his newest publication. 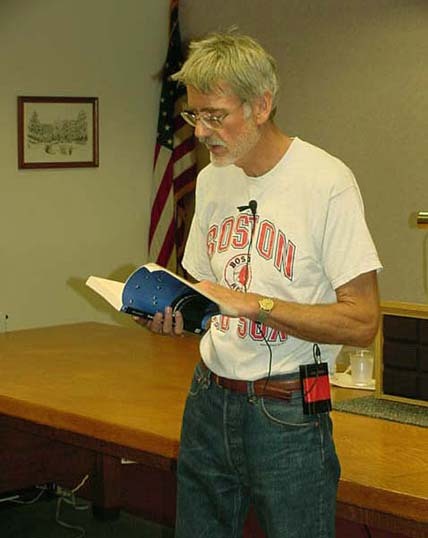 Our Featured Reader for Thursday, November 5th is Gary Gildner. 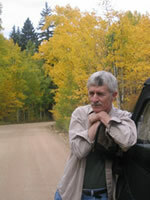 Gary Gildner's 20 published books include: Cleaning a Rainbow (Bookmark), Blue Like the Heavens: New & Selected Poems, Somewhere Geese are Flying: New & Selected Stories, The Second Bridge (a novel), Warsaw Sparks and My Grandfather's Book (memoirs), and The Bunker in the Parsley Fields, which received the 1996 Iowa Poetry Prize. He has also received a National Magazine Award for Fiction, Pushcart Prizes in fiction and non-fiction, the Robert Frost Fellowship, the William Carlos Williams and Theodore Roethke poetry prizes, and two National Endowment for the Arts Fellowships. Gildner has been writer-in-residence at Reed College, Davidson College, Seattle University, and Michigan State University (his alma mater), and has been a Senior Fulbright Lecturer to Poland and to Czechoslovakia. He has given readings of his work at the Library of Congress, the Academy of American Poets, YM-YWHA (New York), Manhattan Theatre Club, and at some 300 colleges and schools in the U.S. and abroad.